Owning an Android Phone, has its perks. Because, you always have the chance to make it your way. 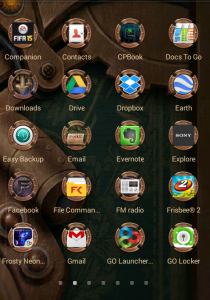 The possibilities of customizing an Android Phone are enormous. But, to do that you will need some powerful apps which can do that for you. Here, we will uncover some of the best and powerful apps (for both root & non-rooted device) for Android which really worth their presence in your Android Smartphone. Undoubtedly, this is the best file manager app for the rooted users. If you have a rooted phone, then you will love it. This app has so many features. You can obviously do the cut, copy-paste things with this. As well as some advanced features made this app so special. 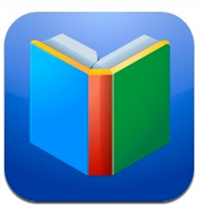 You will not need any other extra unzipping app to unzip any zipped or RAR files. Because, this app has this feature preloaded. You can also change the permission and reading and writing attributes of files and apps. It also provides the feature of creating ZIP files. It has a built-in Text editor too. And sharing has no bounds in Root Explorer, you can share files via a different medium and even upload them in your favorite cloud storage. As a root File manager, you will be able to explore the root files and folders easily with this app. So, this is an all in one file manager application. 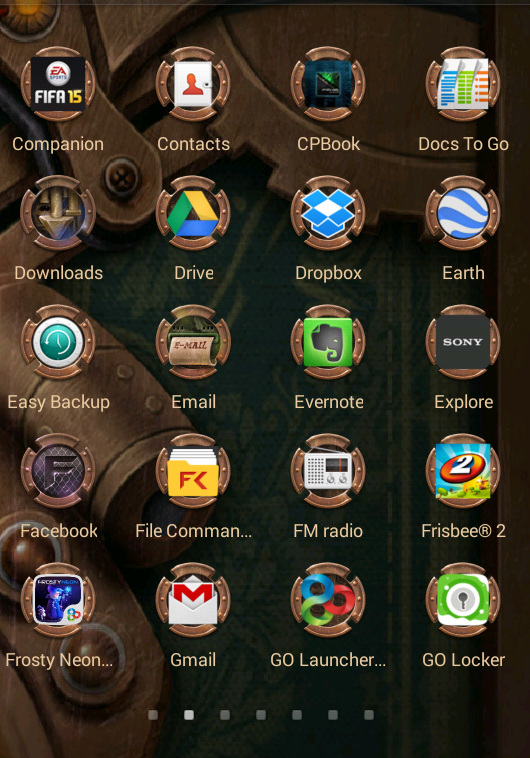 This is another awesome file manager. It has most of the features like root Explorer, but if yours does not have root access, then it will be the best file manager for you. This has some useful tools for your phone, such as- task killer, application manager, download manger etc. And you will also be able to manage your cloud storage accounts within the app. You can also access our mobile’s files from your computer by using this app. We all know that Android smartphones are so much power hungry. To get the best performance from the battery, we use battery saver apps. But, most of those apps do not perform as expected. 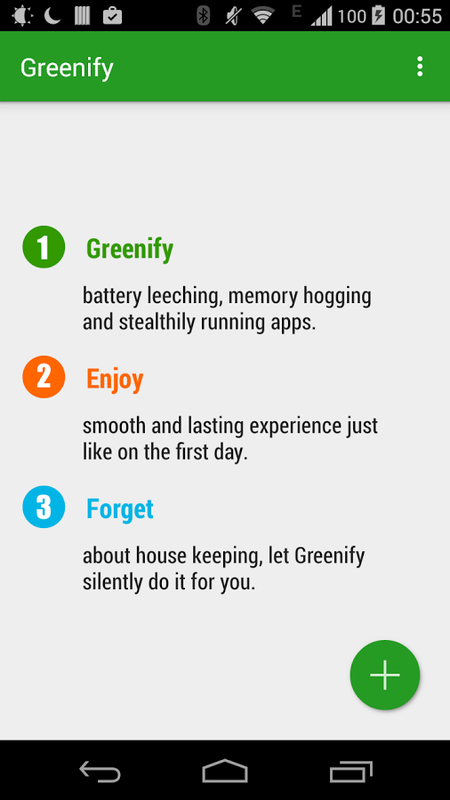 Here comes Greenify with its bright side. This app literally can save your phone’s battery life. This app does a great thing which other apps cannot do. It hibernates the unused/selected apps, which is different from freezing or fully disabling apps. And by doing this you can save a lot of your phone’s battery life. 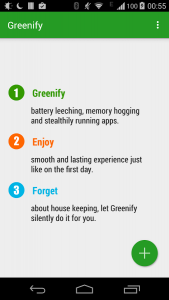 For its unbelievable battery saving capacity, certainly it is one of the best battery saver apps for Android. This app does not need root access. 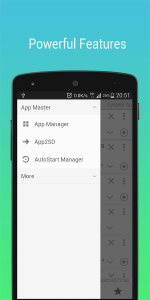 Do you want to manage almost everything on your Android phone from a single app? Yes, we all want it. For your convenience, there is an app out there. 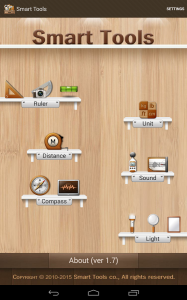 ‘All in One Toolbox’ is a must have app for any Android users, if you want to use your Android without any hassle. This app has 29 different tools for attaining the best out of your Android phone. You can easily clean your Androids’ hidden junk files, clear RAM etc. with a single tap. Again, with all of the other available system tools you can do more. You can un-install any apps even your system apps, move apps and data to external SD card. Not only those but also many other things you will be able to do with this app. You can check here for all of its features. This app also has some plug-ins, you can install them within the app. They are compass, sensor, flashlight etc. You can also take backup of your installed apps with this mighty app. So, with this abundance of features, what else do you expect from an app? Smart tool is a much reputed app on the Playstore. With this app, you can easily measure any distance, angle, height of any place or object. This has 6 different tools to measure most of the physical quantities with your Android device. 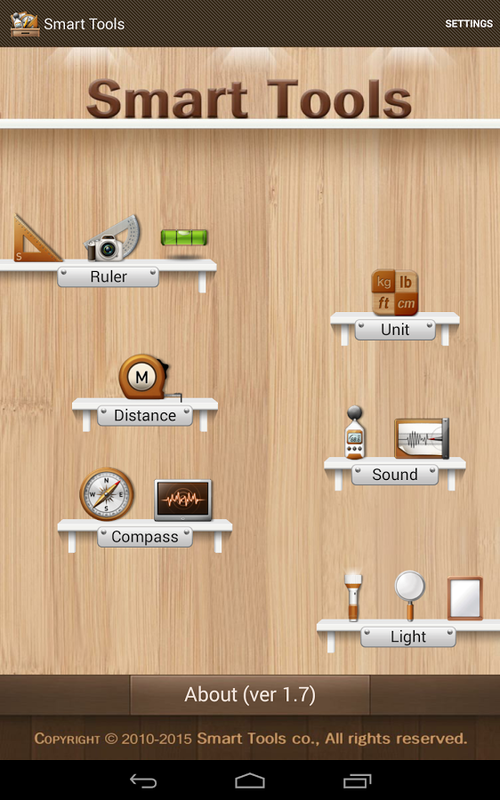 The tools are Ruler, Compass, measurement, unit to unit converter, sound measurement etc. So, if you have this app you won’t face any difficulties to measure anything from now on. 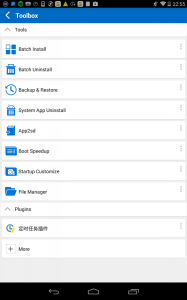 There are a lot of apps in the Playstore, which can uninstall system apps. But, this app has some features that cannot be found in those apps. This is an app management application for Android. You can easily uninstall any apps, including the pre-installed ones. It has a recycle bin feature, from where you will be able to re-install any uninstalled apps. You can stop the auto-run/auto-starting apps with this. This app also can freeze/un-freeze, share apps with a single click. You can also be able to remove any pre-installed bloat ware to speed up your device. But, to get all of the features provided by this app, you will need to root your device. Because some of the actions need root access to be performed. If your phone is rooted then this is a must have app for your phone. Titanium Backup is so powerful and a very feature rich application for Android. It requires root access to run. This app also has a pro version where you will be able to get many more extra features. 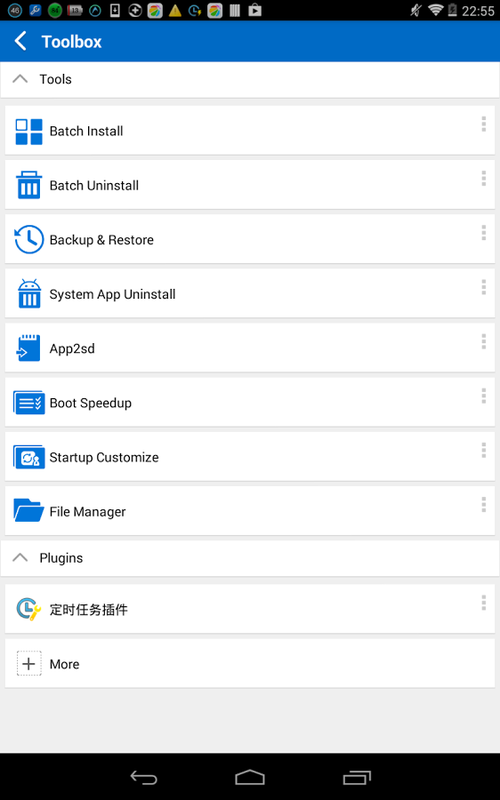 With this app you will be able to freeze/unfreeze, uninstall, backup, batch uninstall apps, remove bloat ware, move apps from internal to external SD, and also backup any apps automatically. This app was voted as the number one ‘Root App’ on Twitter. So, you can understand its worth. With the Pro Version, you will be able to back up your SMS, MMS, call logs etc. You can easily convert user apps to system apps with Titanium Backup Pro. 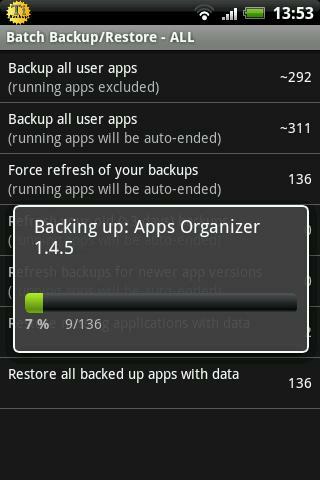 Even with this app you can take a backup of your whole ROM. If you want to use your Android Phone with ease and customize it your way, then these are some of the best apps to have. You can take the full control over your phone with these apps. But, some of them requires root access on your phone to run. So, if you have root access on your phone, then you will get all the privileges these apps provide. Hope we could help you with this quick rundown of Powerful apps for Android.